The StrongArm Boat Loaders is designed to give the market a cost effective alternative to manually lifting a boat onto a vehicle roof. 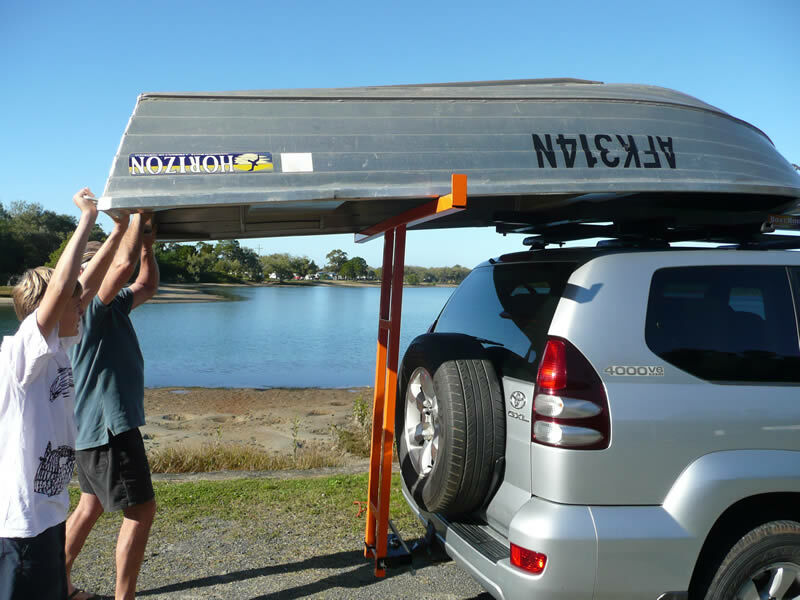 This Boat Loader will support your boat whilst it pivots forward as you manually lift from the rear, safely loading the front of the boat onto your vehicles roof racks. Spring loaded the StrongArm Boat Loader will also help unload your boat. 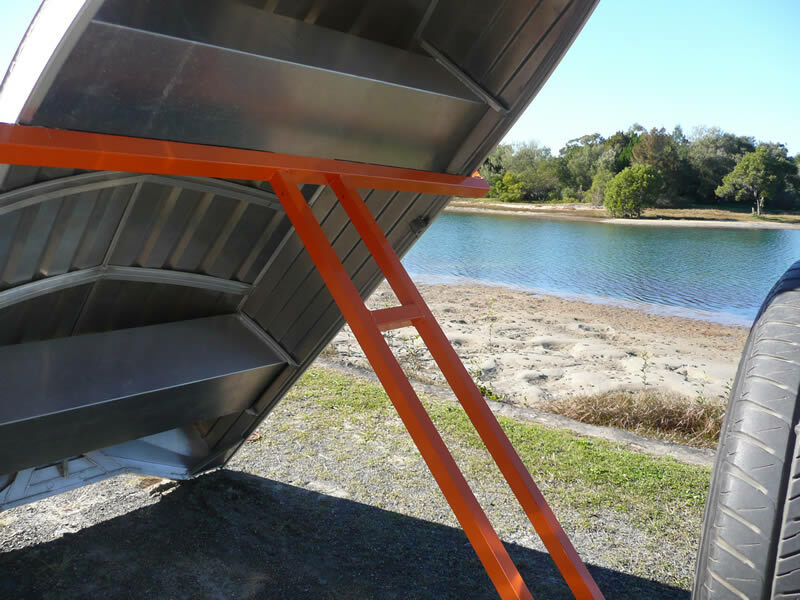 All StrongArm products are designed only to assist in the manual loading of boats onto the vehicle roof and a certain amount of physical lifting is still involved. The StrongArm Boat Loader fits onto your 50 mm tow bar, pulls apart in 30 seconds and can be neatly stored in the back of your vehicle. This product is recommended as a 2 person lifting operation only. 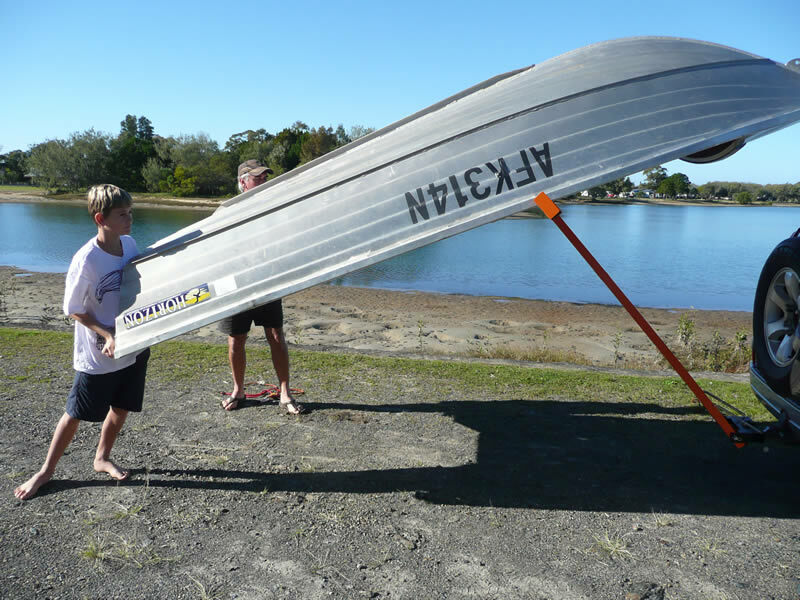 Please check our SideWinder Boat Loader for an easy one person boat loader with no physical lifting. A standard 50mm tow ball (does not suit utes with tow ball under the tray). 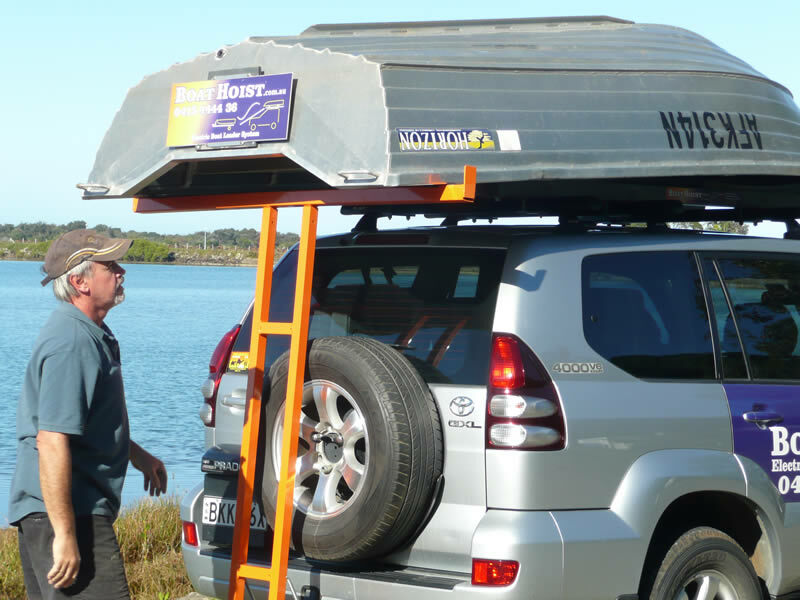 Heavy duty roof racks (recommended 250mm wider than your boat).